Click the tab headings below to learn more about the Habitat Stamp Program. Support wildlife conservation: click the logo at any time to purchase a Habitat Stamp. Habitat Stamp Program cooperators are to provide ecologically diverse wildlife and fish habitats on USFS and BLM managed lands by involving the public in an effective, cost efficient, honest, and cooperative management process for enjoyment and use by current and future generations of New Mexicans. The New Mexico Habitat Stamp Program (HSP) is a collaborative partnership between sportspersons and the agencies that manage wildlife and their habitat on public lands. 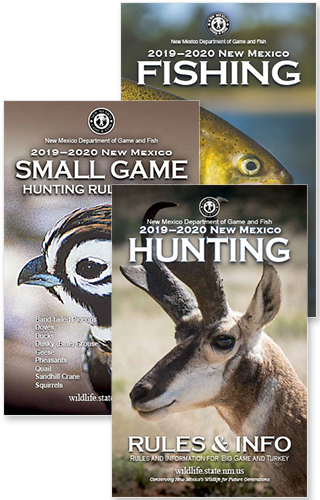 Each year, licensed hunters, anglers, and trappers, on Bureau of Land Management (BLM) or U. S. Forest Service (USFS) lands, are required to purchase the stamp from the New Mexico Department of Game and Fish (NMDGF). The federal Sikes Act authorizes the program. Each year, sportsmen purchase approximately $900,000 worth of Habitat Stamps. Funds are dedicated to pro-active habitat improvement, and projects are developed from agency planning documents each year. Because funding is not available for all projects, they are reviewed and prioritized by a regional Citizen Advisory Committee (CAC). Members of the CAC represent sportspersons, public land permittees, and non-sporting conservationists and are responsible for establishing project priority lists. The Habitat Stamp Program is not just for sportspersons. 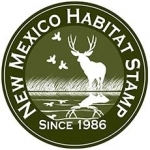 Anyone interested in New Mexico’s wildlife and wildlife habitats is encouraged to purchase the Habitat Stamp and participate in Helping Wildlife Where it Counts. Everyone who purchases the Habitat Stamp is participating in the Habitat Stamp Program. We encourage conversation-minded members of the public to consider purchasing the stamp at any license vendor. The habitat work accomplished by this program is of benefit to non-game as well as game species. If you would like to become more involved consider volunteering to serve on one of the five regional Citizen Advisory Committees. These committees are comprised of 5 sportsmen representatives, 1 non-sporting conservation representative and 1 public land user (grazing permittee, oil and gas representative, etc.). The HSP Manager accepts nominations at any time. Nominations are forwarded to the State Game Commission for appointment and members serve three year terms. The CAC meets once a year to prioritize projects and periodically attend field trips to visit habitat projects. Additional meetings are held as needed to accomplish program work. If you or your organization is interested in volunteer work on HSP projects contact the Department HSP Manager listed below or the wildlife biologists in each of the BLM Field Offices or USFS Ranger Districts. Opportunities for volunteer work include project construction, monitoring, and maintenance. The Habitat Stamp Program (HSP) is a collaborative partnership between sportsmen, the New Mexico Department of Game and Fish (NMDGF), the Bureau of Land Management (BLM), and the U.S. Forest Service (USFS), and was implemented under authority of the Sikes Act (Public Law 93-452; 16USC670a) and New Mexico State Game Commission in 1986. The HSP was initiated on an experimental basis on the Valle Vidal Division of the Carson National Forest. A progression of areas fell under the Habitat Stamp Program jurisdiction until it culminated with statewide implementation in 1991. Finally, thanks to sportsmen from whom a mandatory $5 fee is collected, there have been substantial funds available for wildlife habitat improvement. Every year sportsmen purchase approximately $900 thousand dollars worth of Habitat Stamp validations before they go afield to hunt, fish, or trap on BLM or USFS lands in New Mexico. Improvement of wetlands, waterways, and riparian areas enhance habitat for the wildlife that live both in and around wet environments. These improvements include in-stream structures, bank stabilization, riparian plantings, riparian enclosures, invasive species removal, and aquatic monitoring. Improvement of food, cover, and movement corridors is accomplished through a wide variety of projects, each designed to improve habitat. These projects include prescribed burns, mechanical and hand thinning, chemical application, and seeding. Providing dependable sources of water benefits all wildlife. Water developments can include earth tanks, seep and spring enhancement, trick tanks and guzzlers, and maintaining existing infrastructure. There are numerous other Habitat Stamp projects being completed that have a more indirect effect on improving the quality of wildlife and habitat. Such projects include wildlife census, species reintroduction, road management, fencing and fence modifications, and law enforcement. In the 32-years of implementing projects through the HSP, 2,398 wildlife and habitat enhancement projects have been funded at a level of over $49 million. Through this effort, the HSP has contributed over $21 million and federal agencies have reported contributing an additional $24.4 million in the form of labor, materials, planning, fiscal tracking, National Environmental Policy Act compliance, and obtaining archeological/cultural clearances. Since it was tracked in 1999, other organizational and volunteer partners have been reported to contribute $4 million in time and resources to this effort. The combined agency (USFS and BLM) ratio for matching funds over the life of the program, 1986-2017, is $1.16 for each $1 spent by HSP. The cooperating agencies’ ability to match HSP funding varies from year to year based upon priorities and the level of federal funding available within the agencies’ budgets. 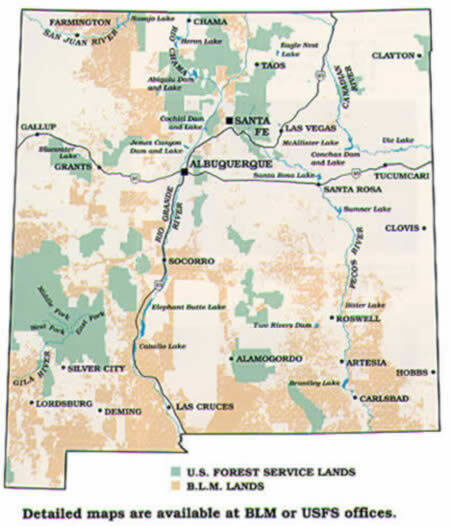 During the life of the program, the HSP funds have been used to improve approximately 849,854 acres of terrestrial habitat; enhance approximately 11,462 acres of riparian habitat; build 801 places for wildlife to obtain water; complete 825 wildlife population, habitat surveys and/or program needs assessments; complete 17 wildlife transplants; improve 88 aquatic habitat/fishing areas; maintain and/or monitor previously built structures 11,100 times; install approximately 805 erosion control structures for watershed improvement; provide habitat and shelter for wildlife; reduce human impacts on wildlife; and improve overall public enjoyment of wildlife. 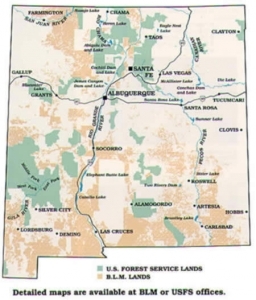 A Habitat Stamp is required, in addition to the proper license, to fish, hunt, or trap on US Bureau of Land Management (BLM) and US Forest Service (USFS) lands and waters in New Mexico. The funds collected are used to improve forests, lakes and streams on public lands as a long-term investment in habitat for fish and wildlife and to help assure our game and fish have a place to live and rear their young. Habitat enhancement projects are submitted through the Habitat Stamp Program, and are reviewed and prioritized by five citizen advisory committees from different parts of the state. Approved projects are then carried out by the BLM and USFS in cooperation with the New Mexico Department of Game and Fish. The license year runs from April 1st to March 31st and the Habitat Stamp is a one-time, annual purchase. The Habitat Stamp validation expires at the end of a license year. A signed license with a Habitat Stamp validation must be in possession while hunting, fishing or trapping on USFS and BLM lands. If a person has a Habitat Stamp validation on a fishing license, for example, and later purchases a hunting license, they do not need to purchase a second Habitat Stamp. However, it is highly recommended to re-print the current license immediately after the purchase, or prior to the next hunting fishing, or trapping trip on USFS or BLM lands. The re-printed license will have all previous and currently purchased licenses and validations. The following lists point out some specific public areas where the stamp is required. The following lists point out some specific public areas where the stamp is not required.